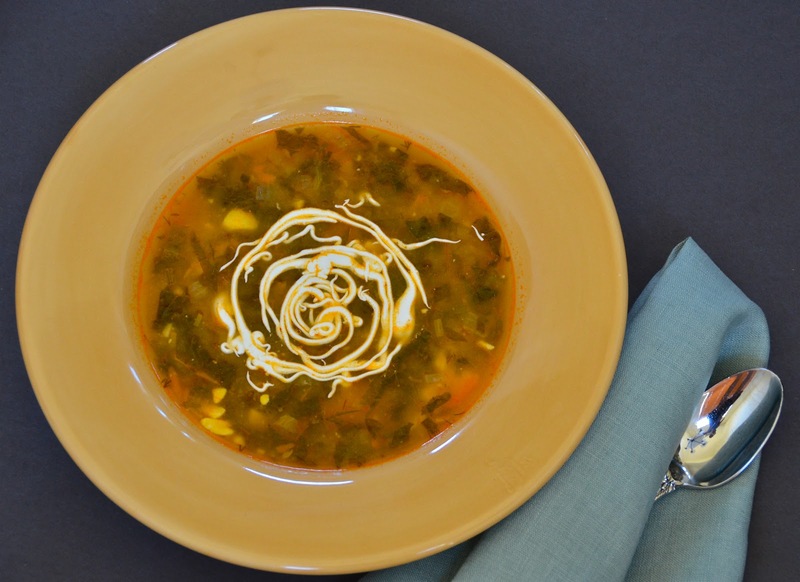 This is a classic Ukrainian/Russian sorrel soup that’s often called “green borscht” because of the sorrel.It has similar leafs of spinach and sour to taste.You can cook it with meat or make it vegetarian, ( that’s how I usually cook it), but if with meat I usually make my own chicken broth. Serve it hot with a dollop of sour cream and crusted bread. *optional- 1/4 of shredded cabbage and add 1-2 crushed garlic to onion and carrots if cooking vegetarian. Heat a pan or large pot on medium heat. Add oil to the pan/pot. Saute onions and carrots until golden brown. Add tomato sauce and bay leaf. Cook for about 3-4 minutes stirring often. Bring to boil on high heat then reduce heat to low and let potatoes cook for about 15-20 minutes. Add sorrel,eggs,dill,parsley and green onions. Cook for 1 minute and remove from heat. I like my soup to sit for awhile to get the flavors combined, then serve in approx. 30 minutes with sour cream and crusted bread. *If using a saute pan, transfer the onions,carrot and tomato sauce cooked mixture and potatoes to the pot with boiling water or stock/broth.Let it cool until potatoes are done.